Thousands of gallons of diesel fuel can be saved by slowing Bainbridge Island-Seattle ferries by a couple of knots in offpeak runs, state officials say — and they’re going for it. A four-week fuel conservation study confirmed that at least a million gallons of fuel can be saved annually, about 90,000 gallons a month, on the state’s most heavily traveled ferry route. 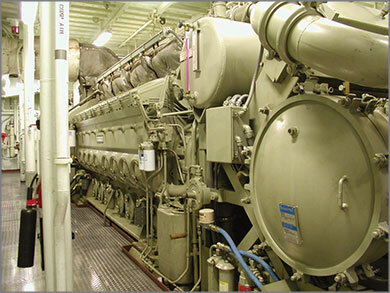 The ferry system now uses about 18 million gallons of fuel a year at about 70 cents a gallon (2002 price) for its 29 vessels. (FloScan) fuel monitors that were installed in April on the 218-car Wenatchee indicated a slowdown from 18 knots to 16 knots would save about 1,500 gallons a day for each of the two boats on the run while adding two minutes to the 35-minute crossing. Eventually, officials want to switch from off-road diesel fuel to low-sulfur fuel, a more expensive but cleaner alternative. 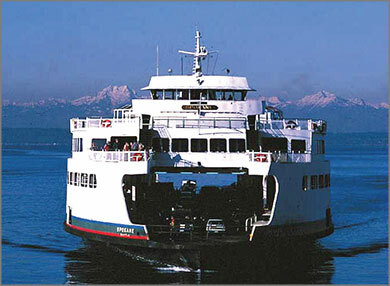 Since January the 160-car Elwha has been running on low-sulfur diesel fuel on the San Juan Islands route. If there’s no engine damage as a result, the rest of the boats on the route will be converted after the summer. Biodiesel, a vegetable-based fuel that costs twice as much as regular diesel, is “probably our ultimate fuel,” Nitchman said.